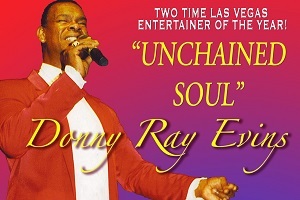 Donny Ray Evins… "Unchained Soul"
Acclaimed International award winner, Donny Ray Evins performs the world’s greatest Soul and R&B hits from artist such as Ray Charles, James Brown, Barry White, Wilson Picket, B.B. King as well as featuring his tribute to the late great Nat King Cole. Donny’s warm bass baritone voice, soulful singing style and engaging stage presence embraces the audience with heartfelt sensuous soul. Celebrate Mothers’ Day weekend with a tribute to Reba! Corrie Sachs has been paying tribute to Reba McEntire for the past 25 years all over the world. She was awarded "Tribute Artist of the Year" by the Las Vegas Review Journal and has recently been inducted into the "Las Vegas Entertainers Hall of Fame". Corrie is also the co-host of the Dennis Bono Radio Show now in it's 19th year at South Point Hotel and Casino. 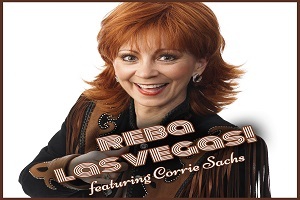 So put on your boots, kick up your heels and enjoy an evening of great music as Corrie Sachs pays tribute to the Queen of Country, Reba McIntire! Join us for a fun evening trip to watch the Las Vegas Aviators, the new Triple-A affiliate of Major League Baseball’s Oakland A’s. The Aviators will be playing the Tacoma Rainiers the evening of our trip. Seating: Home Plate Box in the Lower Bowl. Seating throughout Red Sections 109-113. Fun factoid: The new Las Vegas Ballpark features the largest screen in the minor leagues (just under 4,000 square feet). Every seat in the stadium is made of breathable mesh to help keep you cooler in summer. *Times and Itinerary may be adjusted as needed. Read the following information completely. By purchasing a space, you are agreeing to the terms and conditions listed below. • $15.00 per exhibit area which consists of ONE marked parking space. • One household may purchase up to and no more than two (2) spaces. • Each space includes one 3x6 foot table. This table will be set up and taken down by SCA Facilities. • Provide your own chair(s) if desired. No chairs are provided by SCA. • Setup can begin NO EARLIER than 6:00am. Vehicles are allowed in the parking lot for set-up. • Vehicles will be allowed back in the lot NO earlier than 11:00am for clean-up. Anyone bringing a vehicle into the sale area earlier will be required to remove the vehicle. • The donation truck will begin accepting items at 10:45am. • Smoking is prohibited anywhere in the parking lot. 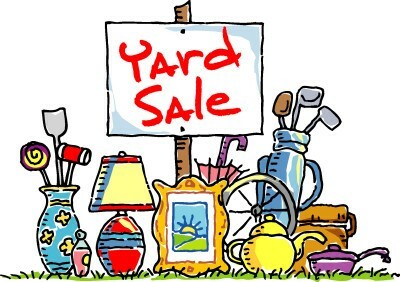 • The City of Henderson does not allow the following items to be sold in a Parking Lot Sale: alcohol, tobacco, homemade edibles (unless you have a business license from the City). • Provide venue, tables, garbage bins for trash and staffing during the sale. • Set-up and take-down of all tables. • Advertise on local websites, the Review-Journal newspaper, Spirit magazine, bulletins boards, SCA-TV, and building LCD screens. • On the morning of the sale, place multiple street signs. • Arrange for donation truck if you choose to donate any leftover items. • Provide a wait list when all spots are purchased in case of cancellation. Anyone may attend this sale. Invite your family, friends and neighbors! multiple venues across the country entertaining fans with his amazing performance as one of the top Michael Jackson tribute artists. 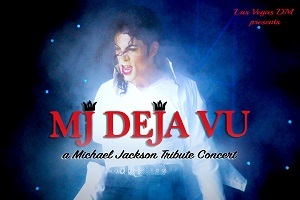 He has performed extensively in Las Vegas as the star of ‘MJ Live” for three and a half years. In early adulthood, upon the invitation of Michael Jackson himself, Justin visited the Neverland ranch. A celebrity favorite, Justin has performed for Michael Jackson's father - Joe Jackson, Frank Caliendo, Travis Payne (Michael Jackson’s choreographer) and many more, all of whom raved about his remarkable performance! You don't want to miss this show with a live band and choreographed dancers! 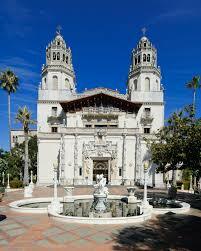 NOTE: Hearst Castle Tour: Disability arrangements must be requested ahead of time for wheelchairs or walkers for the160 stair steps, which are considered to be a moderate effort level. LImited availability. Let Activities Dept. know at time of booking this tour. **Times and itinerary may be adjusted as needed. REFUND POLICY: Refunds are given TWO weeks prior to a Freedom Hall Theatre show. Refunds are given THREE weeks prior to a Bus Trip departure date. No refunds are given after that time.